Finally, here's the outfit I wore on day 1 of fashion week this season. The top was gifted to me by the lovely team at Nobody's Child. It is actually a bodysuit, which I love because there's something about bodysuits that make me feel so much more secure, as they're not going to come untucked (my pet peeve). 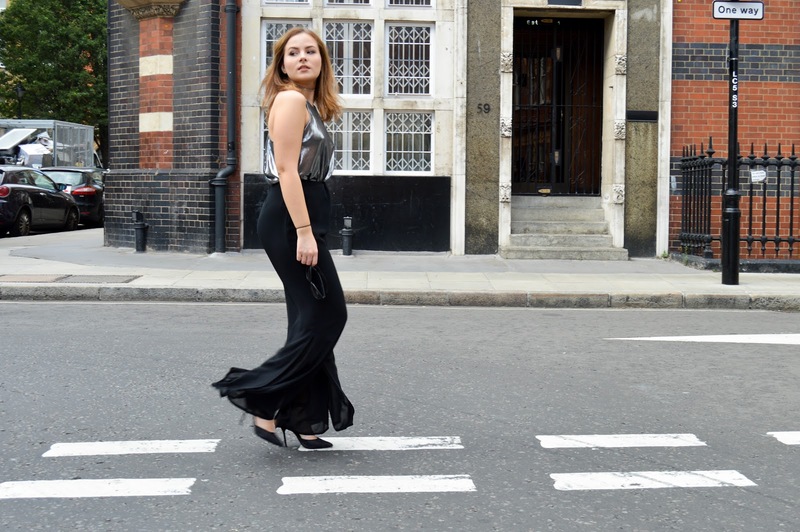 I also felt like such a mermaid in those trousers, can you tell? Lool! I started fashion week with the Typical Freaks SS17 presentation (picture above). I really loved the atmosphere and how chilled/laid back it all was. I usually dress quite plainly so getting inspo like this always helps me step out my comfort zone, fashion-wise! 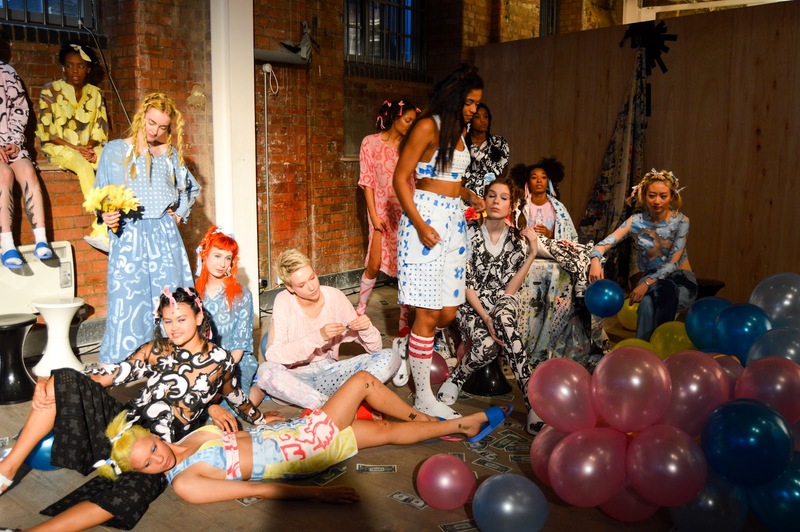 I then attended the Pam Hogg SS17 show, which unfortunately I didn't get great pictures from.